The first official meeting was held on July 30th. 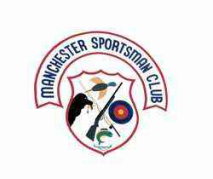 The name Manchester Sportsman Club was officially adopted on August 27, 1953. There were 218 members that year. In April 1955, the members purchased 20 acres for $2,000, $1,000 down with the balance due in 90 days. The money was borrowed from the Membership. The gun range was established in September 1955, it is still there today. Our first Hunter Safety class was on September 27, 1962, held at Manchester High School. Construction of the club house was started in January 1963. the first meeting held at the new club house was on October 24, 1963. In February 1964, the club sponsored a fox hunt. The results of that hunt was 3 foxes and one Ford. The first addition to the club house took place in 1987, followed by another addition in 1991, bringing the total square footage to over 5,000. Activities we have had in the past, presently hold, or could have in the future are 3-D archery, trap shooting, smokeless powder shoots, turkey shoots, sighting in rifles or shotguns for hunting, camping, picnics, dances, and social gatherings, etc. Hunter Safety classes are held every year. Anyone born in Michigan after January 1, 1960 must pass a Hunter Safety Program prior to receiving their 1st hunting license. Our club offers: a 100+ yard 4-lane handgun and rifle range, trap range, and an archery range.